January 15, 2018 by Charles Boyd AKA "Costa Rica Charlie"
The popular vacation and expat destination of Costa Rica earned the number one spot on International Living’s most recent Annual Global Retirement Index for 2018. The index compares 24 countries that give you the maximum return for your money and promise to deliver a better quality of life. Overall, the Index is based on ratings in 12 categories: buying and investing, renting, benefits and discounts, visas and residence, cost of living, fitting in, entertainment and amenities, healthcare, healthy lifestyle, development, climate, and governance. Each category was given a score out of 100 to arrive at one composite average score. 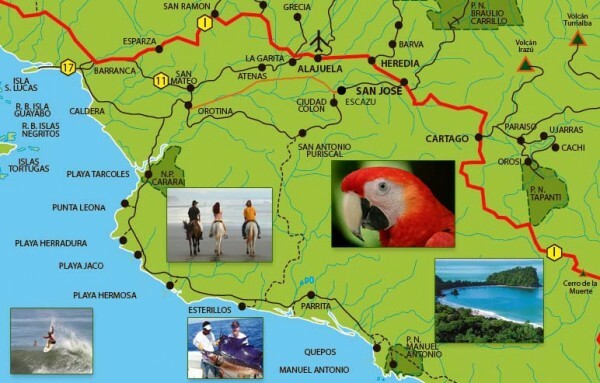 According to the editors, the main attributes which earned Costa Rica the number one ranking are its tropical climate, high quality affordable medical care, low cost of living, top-notch, competitive real estate and its natural beauty. Many North Americans have been coming to Costa Rica for years. Tens of thousands of U.S. and Canadian expat already live in Costa Rica full or part time. The country moved up three spots from its fourth place ranking in 2017 to reach the top honor. 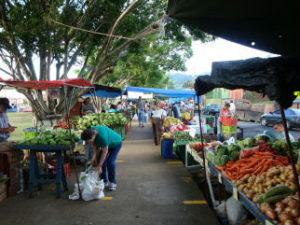 Costa Rica can be described as a model country with its steadily growing economy. Dozens of multinational businesses like Amazon and Microsoft have major operations here. There is a low crime rate and a focus on preserving the environment, with 25% of the country’s territory protected. The government is committed to powering the country on solely renewable sources, especially hydroelectric, wind, and geothermal. The country ranked best of all 24 in the categories of Buying and Investing, Entertainment and Amenities (tied with Mexico and Malaysia), Health Care and Healthy Lifestyle. Good modern healthcare coverage, traditional and herbal medicine, availability of natural foods, including abundant fresh fruits and vegetables, attract foreigners who make their health a priority. 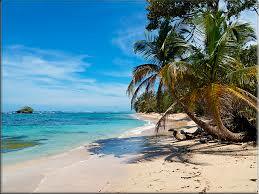 You’ll find that most people living in Costa Rica are relaxed and enjoy lower stress levels. Many expats report feeling healthier than they have in years. They have lost weight effortlessly due to changed eating habits and increased exercise, a natural result of living in a climate which allows more time outdoors. 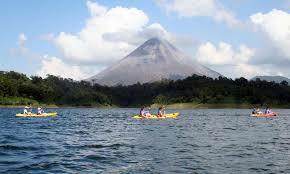 Costa Rica remains a top tourist destination for North Americans and increasingly Europeans. Millions have traveled here over the years for beach-resort vacations, surfing, fishing, rainforest treks and the biodiversity the nation is renowned for. As many Costa Ricans speak English there isn’t a language barrier for native English speakers or other foreigners who speak English as a second language. It’s fairly easy to navigate your way around as you learn more Spanish. We recommend taking some Spanish classes while you are here from one of the many private institutions that offer one on one or small group lessons. For such a small country, Costa Rica is the epitome of varied climates and landscape along with the lifestyle that goes with that. You’ll find expats living in an eternal spring climate of the mountainous Central Valley. This is rural and small-town Costa Rica, where towns like Grecia and Atenas are brimming with coffee plantations and forested hillsides. Other expats prefer life at the beach, of which there are plenty options to choose from. There are the popular Tamarindo and Playas del Coco or one of the resorts and luxury communities on the northern Pacific. Head farther south on the Pacific coast, and you discover mountains covered with rainforest, small laidback coastal villages such as Dominical and Uvita, and the wild seaside of the Southern Zone and the Oso Peninsula. In the central Pacific you have bustling beach communities like Jacó, which is also a popular surf destination with world class breaks. Playa Hermosa just a few kilometers away and attracts experienced surfers from all over the world. 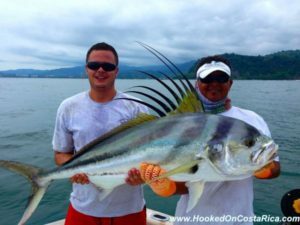 Playa Herradura is a popular sport fishing hub with a marina located at Los Sueños. San José, the country’s capital, is only an hour and a half away, along with the convenience of Juan Santamaria International Airport. The bohemian and somewhat undeveloped Caribbean, including towns like Cahuita and Puerto Viejo de Talamanca, has its own distinct cultures to experience. The Atlantic coast beach towns are colorful and tranquil with friendly locals eager to share stories with you. Lake Arenal, a highlands region known for a mild climate and rural charms offers a quiet and peaceful atmosphere, with a close-knit expat community. Expats live well in all these areas, whether they rent or buy. 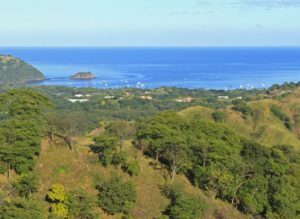 A key factor that propelled Costa Rica to the number one spot on International Living’s 2018 Best Destinations to Retire was the addition of the Governance category. Costa Rica will celebrate its 70th anniversary this year without an army. The country continues to enjoy the most stable democracy in Latin America. 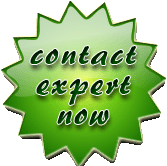 Contact The Costa Rica Team to talk personally with Charles Boyd about a ground level investment opportunity in Costa Rica that you don’t want to miss. **International Living, Forbes and Global Finance were all used as sources for the information contained in this article.